Welcome to Ruskin Primary School - School Uniform Shop. We aim to make the buying of school uniforms as straight forward, convenient and hassle-free as possible. 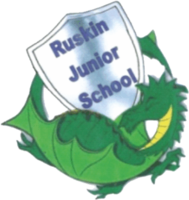 To view and buy items from Ruskin Primary School's uniform simply click on the menu links on the left and select the item you are interested in for more information. The first delivery will be on Friday 31st August 2018, from 12 Noon, so you can collect on this day in good time for the new school year. Then as normal every Wednesday in the school year when the school is open. DELIVERY - We deliver free of charge to the school on a Wednesday for collection at 3.00PM. This will be the first Wednesay after your order date. If we are out of stock of an item it will then be by the second Wednsday after you order date. If for any reason your delivery will be longer than this we will contact you to explain why. No deliveries take place during half terms and school holidays. You can choose to have your order delivered to your home but this will incurr a small charge.